Our consulting team is comprised of experienced professionals whose focus is on creating positive long term outcomes for both our clients and candidates. Adnan has extensive experience in executive search within Financial Services and Human Resources. Prior to joining Kerry Consulting in 2005, he was with a leading international recruitment firm for 8 years where he recruited senior banking professionals. He left as the Manager responsible for HR recruitment. In his earlier career, he worked with Arthur Andersen for 7 years, initially in the Audit & Business Advisory Division and subsequently as a Manager within the Corporate Finance Division. He holds a Bachelor of Accountancy (Honours) from the National University of Singapore. Ailing specialises in the Energy, Commodities sectors and is also an experienced member of our Commerce Finance Practice. In her earlier years, she was a Manager with the Financial Services division of a leading international recruitment firm with particular focus on finance, governance and risk areas; and was the company’s top performing consultant in their Singapore office. Prior to search, Ailing was an Assurance Manager (Financial Services Industry Practice) at PricewaterhouseCoopers, specialising in banking and asset management. She holds a Bachelor of Accountancy (Honours) from the Nanyang Technological University (Singapore) and is a Chartered Accountant of Singapore. Alicia is a member of the Commerce Practice in Kerry Consulting. She specialises in Mid to Senior recruitment for Sales and Marketing positions within the Fast Moving Consumer Goods (FMCG) sector. Prior to her recruitment career, she worked for leading multinational companies as an in-house Human Resource Professional in the Investment Banking and Telecommunications sectors. Alicia graduated with a Bachelor of Business (Honours) from Nanyang Technological University (Singapore). Alsa is a specialist consultant in the Energy and Commodities sectors and a member of our Commerce Finance Practice. She started her career in assurance with Deloitte & Touché, and subsequently joined a Swiss investment bank. Thereafter she migrated to the commodities sector, spending over 7 years in the risk function within a global energy trading company, before embarking on a career in the search industry. She holds a Bachelor of Accountancy (Honours) from the Nanyang Technological University (Singapore) and is a Chartered Accountant of Singapore. Andreas specialises in mid and senior level appointments within the Engineering and Construction space. Prior to Kerry, he was with a boutique search firm where he partnered with Design and Project Management Consultancies, delivering technical and commercial assignments related to Building, Infrastructure and Aviation projects, located in Southeast Asia. Andreas has lived in France, China and Singapore and holds Business Administration degrees from ESSEC Business School (Paris) and Tongji University (Shanghai). Audrey specialises in senior appointments in the Financial Services, Energy and Commodities sectors. Before joining Kerry Consulting in 2004, she worked with a leading international recruitment firm and spent the early years of her career in Arthur Andersen Singapore's Audit and Business Consulting Divisions. Audrey was an ASEAN scholar and holds an honours accountancy degree from Nanyang Technological University (Singapore). Axer leads the Technology Practice at Kerry Consulting. She has more than a decade's experience in the technology field. Prior to Kerry Consulting, she was with a leading international recruitment firm for 8 years, specialising in the technology domain across industries and functional areas such as IT&T, ERP, project management, network, infrastructure and cloud technologies. Her original background was in technology sales. She holds a Bachelor of Science (Honours) from the University of Bradford. Benny leads the Manufacturing Practice at Kerry Consulting and has extensive mid and senior level search experience in the manufacturing industries. Prior to joining Kerry Consulting, he was with a leading international recruitment firm managing teams and subsequently pioneered and managed a multi-disciplinary office within the region. Benny holds a Bachelor’s Degree in Mechanical Engineering (First Class Hons) from Loughborough University, UK and holds a MBA from Manchester Business School, UK. Brian is with our Financial Services Practice where he specializes in middle to senior level positions for Audit and Finance. Prior to joining Kerry Consulting, Brian performed various HR Business Partnering roles in financial institutions and services. He holds a Business Management degree from Singapore Management University, with a double major in Finance and Organizational Behaviour Human Resources. Cecelia specialises in executive search in Finance and Human Resources. She joined a leading international recruitment firm in 2000 before moving on to Kerry Consulting in 2004. Cecelia started her career in Arthur Andersen's Audit and Business Advisory division and later worked with American Express Bank as a Global Financial Analyst. An honours accountancy graduate from the Nanyang Technological University (Singapore), Cecelia is also a Chartered Accountant of Singapore. Christina is with the Financial Services practice where she focuses on mid to senior level recruitment for Compliance, Audit and COO Office positions. Prior to joining the search industry in 2016, she was an educator. She graduated from Singapore Management University with a Bachelor of Science in Economics. Cynthia is an experienced member of our Commerce Practice where she specialises in the recruitment of Finance and Strategy professionals for multinational corporations. Prior to joining Kerry Consulting in 2007, Cynthia spent the early years of her career teaching in a leading junior college. She holds a Bachelor of Arts (Honours) from the Nanyang Technological University (Singapore). Cynthia is with our Financial Services practice where she focuses on Legal and Compliance searches. Cynthia joined the recruitment industry in 2015. Prior to search, Cynthia spent 4 years with Ernst & Young doing tax advisory work within their People Advisory Services. She graduated with a Bachelor of Accountancy (Honours) from the Nanyang Technological University (Singapore). 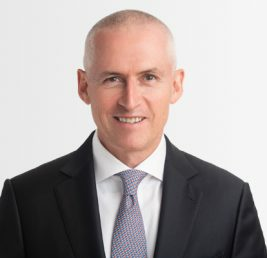 Declan had been in the executive recruitment industry in the Asia Pacific region for more than a decade prior to founding Kerry Consulting in 2003. He was a founder and General Manager of Michael Page International in Singapore and has lived/worked in Europe, the United States, Singapore, Australia and Japan. He is a fellow of both the Institute of Chartered Accountants in Ireland and CPA Australia and holds an MA from Trinity College Dublin. As Managing Director of Kerry Consulting, Deepali is mandated to lead and expand the Commerce and Industry Practice across APAC markets. She comes with over 20 years of executive search experience in Singapore. In her last role as Regional Director - SEA & Korea at an international recruitment firm, she launched and managed 3 highly profitable multi-disciplinary offices in the region. Prior to that at another recruitment firm she ran the overall business while personally leading the retail and consumer practice. Earlier in her career, Deepali lived in India and UK, and had a 2 year period working for the World Bank. She holds a Bachelor's degree in Psychology from Delhi University and an Honours Diploma in Systems Management. Elaine is a member of our Financial Services Practice where she specializes in front office searches with a focus on corporate and institutional banking, transaction banking, cash management and retail and wealth product management. She has been engaged in regional strategic senior hires and numerous expansion projects for global banks. Before joining Kerry Consulting, Elaine worked for two international recruitment firms covering front office mandates across investment banking, institutional banking, investment management and retail and wealth segments. Elaine holds a Bachelor of Science in Information Systems Management from the Singapore Management University. Emily is an experienced executive search consultant with our Financial Services Practice. Her portfolio is diverse and extends from banker roles in the front office across to corporate and infrastructure functions. She covers senior level appointments for a broad range of domestic and foreign financial institutions. Prior to joining Kerry Consulting in 2006, Emily was with PricewaterhouseCooper's assurance arm where her clients included banks and corporations. An honours accountancy graduate from Nanyang Technological University (Singapore), Emily is also a Chartered Accountant of Singapore. Finian is with Kerry Consulting's Human Resources Practice where he focusses on mid and senior level appointments. Prior to Kerry, he was part of the management team of a leading international recruitment firm. He holds a Degree in Accounting (First Class) from the Australian National University and has worked in both Public Accounting (Manager, Assurance, Ernst & Young) and Treasury. He is qualified as both a Certified Public Accountant and as a Chartered Secretary. Guru leads the IT & Telco practice within Kerry Consulting, recruiting for senior level Sales, Marketing and Techno-Commercial positions across APAC the region. Prior to joining Kerry, he spent 10 years with a leading International recruitment firm where he started as a Senior Consultant, then progressed to lead teams, and finally acted as the Country Manager of Malaysia operations. Guru started his career in Technology Sales and has worked with leading Software Companies and System Integrators in Singapore, Dubai, Abu Dhabi, Australia and India. He holds a Master’s Degree in e-Commerce from Edith Cowan University, Western Australia and an Executive Certificate in Leadership and People Management from Singapore Management University. Jacee heads our Retail and Consumer Practice and has more than a decade’s of executive search experience. She specialises in senior level placements across Retail, FMCG, Consumer Healthcare industries. Prior to Kerry, she was with an international recruitment firm as their Regional Practice Head (Retail and Lifestyle), Asia and led a high calibre team, supporting clients on Mid-Senior level search assignments. Jacee holds a Degree in Bachelor of Business – Human Resource Consulting (1st Class Hons) from Nanyang Technological University (Singapore). Jasmine is with our Financial Services Practice. She joined the recruitment industry in 2004 and was with 2 boutique search firms before joining Kerry Consulting. Her experience encompasses private banking, asset management, investment banking and consumer banking. Prior to her search career, she spent a total of 8 years with two banks in corporate sales positions within Global Markets/Treasury. She holds a Bachelor of Arts (majoring in Accountancy) from University of Kent, England. Jeremy is a member of our Financial Services Practice where he specializes in middle to back office recruitment. He joined Kerry Consulting in 2008 initially in a Research role where he supported senior level searches both in the region and globally. Jeremy holds a Bachelor of Accountancy from Royal Melbourne Institute of Technology. Joanna is a member of Kerry Consulting’s Technology Practice. Prior to joining Kerry, she was a member of the management team of an international recruitment company responsible for Finance recruitment for four years. She started her career as a Business Analyst in a Strategy Consulting firm. She holds a Bachelor's degree in Psychology in Management and Master's degree in Human Resources from Kozminsky University (Poland). Joy is with Kerry Consulting's Human Resources Practice where she specializes in positions within the Retail and Consumer industries. She joined the recruitment industry in 2008 and has experience in handling mid to senior level positions. Joy covers the full spectrum of HR positions including HR Business Partner, Compensation and Benefit, Learning and Development, Organizational Development and Change Management and Talent Acquisition and Management. She holds a Master of Science, Telecommunications Management from Murdoch University, Australia. Chuen Li has been in the executive search industry for over a decade. She specialises in senior appointments in the Private Banking sector with a focus on senior front office placements. An ex-Private Banker with Citigroup Private Bank and Merrill Lynch International Bank Ltd, she was FINRA (NYSE Series 7 and 3) qualified and managed both UHNW and HNW clients in the Asia Pacific Region. Chuen Li has worked in Tokyo and Singapore and holds a Bachelor of Science (Business and Economics) Degree from Sophia University (Tokyo). Hwee Ling is a member of the Commerce Practice in Kerry Consulting where she specialises in the recruitment of Finance professionals for multinational corporations. Prior to her recruitment career, she worked for the Ministry of Defence and held various portfolios focusing on Research & Content, Engagement, and HR policy. Hwee Ling holds a Bachelor of Arts (Honours) in History from the School of Oriental and African Studies (London). Michelle has extensive executive search experience in the technology industry, especially in the semiconductor field. Prior to joining Kerry Consulting, she was with a leading international recruitment company as a Senior Business Manager, where she ran the overall team while personally conducting senior Technology searches. She has lived in Korea, UK and Singapore and holds a Bachelor of Biology from Inha University, Korea. Patricia is with our Financial Services Practice where she recruits across middle and back office functions with specialisations in Audit and Technology. Her technology focus areas include Infrastructure and Enterprise-wide IT strategies. Prior to joining Kerry Consulting, she was a Manager at Ernst & Young (Singapore and Beijing) where she specialized in audit and advisory for financial institutions. Pierre is a member of our Financial Services Practice where he specializes in Private Banking front office searches with a focus on mid and senior appointments. Prior to joining Kerry Consulting, Pierre worked with several leading international recruitment firms covering Financial Services where he also built and led Banking and Technology desks. Pierre has worked in Paris, Brussels, Bangkok and Singapore and holds a Master’s Degree from ICN Business School, France. Shangari is with our Procurement and Supply Chain Practice. She operates in a broad range of sectors including Consumer, Services, Manufacturing, Logistics. She commenced her career in recruitment with one of the leading international consultancies, in 2016. Prior to that she had accrued more than 6 years of professional experience, both with an online recruitment portal focusing on the Singapore market and subsequently with a global management consulting firm, in an APAC role. Shangari holds a Bachelors of Laws (LLB Hons) degree from the University of London and a Master of Business Administration degree (MBA) from Raffles University Iskandar. Sherry is with our Technology Practice. She joined the search industry in 2008, initially focussing on corporate functions including operations and risk. She has also worked in the talent acquisition team of a major international bank, focussing on Technology. She holds a Bachelor of Science degree (Biomedical Science) from the National University of Singapore. Veo is a member of our Financial Services Practice where she specialises in the recruitment of Project Services & Business Transformation positions. She started her career in 2013 with a leading recruitment firm before joining Kerry Consulting in Dec 2018. Veo has an excellent track record of providing her clients with outstanding talent solutions to meet their transformation and project needs. Veo graduated from Singapore Management University (SMU) with a Bachelor of Science in Economics. She also holds a Postgraduate Diploma in HR and Organisational Psychology from Singapore Human Resource Institute (SHRI). Warren is part of the Retail and Consumer Practice in Kerry Consulting, where he recruits actively across the Retail, FMCG, Hospitality and Real Estate industries. He specializes in Sales, Account Management and Business Development functions, as well as Industry-specific functions such as Merchandising, Retail Design, Training and Visual Merchandising. Warren started his career in KPMG and spent 2 years as an Audit Professional prior to joining Kerry Consulting. He graduated with a Bachelor of Accountancy (Honours) from Nanyang Technological University (Singapore). Willis leads the Sales and Marketing Practice in Kerry Consulting and joined the executive search industry in 2007. Prior to progressing his career with Kerry Consulting, he was with a leading international recruitment firm where he managed their Sales & Marketing business with responsibility for a variety of industry sectors such as Chemical, Consumer, Energy, Industrial, IT&T and Logistics. Willis holds an honours degree in marketing from the Nanyang Technological University (Singapore).